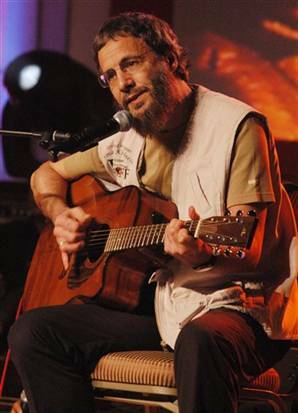 The former Cat Stevens is going to be performing at this year's Nobel Peace Prize concert. How I wish he were performing at a concert for the Nobel Prize for Literature winner. I'd love to see Yusef Islam, who is of Greek descent, honor Turkish writer Orhan Pamuk. This Nobel Peace Prize concert isn't as prestigious as it sounds: Lionel Richie, not someone like Bono, will also be performing. I recently got hooked on "Teaser and the Firecat," and C.S./Y.I. will be releasing an album on Nov. 14. But do you really think there will be a song as good as "Father and Son" on it?